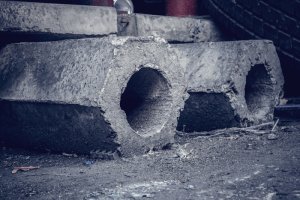 Improper asbestos removal and the danger that can arise as a result is significant which is why specific laws, especially in Massachusetts, have been implemented. The Massachusetts Department of Environmental Protection (MassDEP) oversees and enforces such laws that pertain to the safe removal of asbestos. Not only does a certified and licensed asbestos contractor need to be hired, but proper protocols need to be adhered to in notifying the proper agency, following documented procedures, and disposing of the asbestos in a lawful manner as to not imposed added to danger to those nearby. Improper asbestos removal can often lead to hefty fines, increased fees for proper remediation, and health hazards to those whom come in contact with it (residents, neighbors, employees, etc). In recent news, the MassDEP imposed a fine of over $51K to the company whom was conducting a building renovation and did not adhere to the asbestos removal procedures. MassDEP inspectors “found dry, crumbling, asbestos-containing pipe insulation” in piles on the basement floor as well as the ground outside. Not only was the environmental agency not notified of the asbestos remediation, but the dry handling created a hazard for the entire neighborhood. Read the full story here. As a Massachusetts licensed asbestos contractor we understand the laws, necessary procedures, and even the regulations for institutions, including hospitals, municipalities, and schools to stay current where environmental services and codes are concerned. We take pride in being able to work with our customers proactively as well as provide emergency response for any environmental issues that do suddenly arise. Our services extend beyond asbestos removal to include asbestos testing and sampling, asbestos survey, and more. Click here for a complete list of our services. We do provide free estimates, so the next time you suspect asbestos, please give us a call to avoid infringing upon any laws and/or get slapped with a fine.